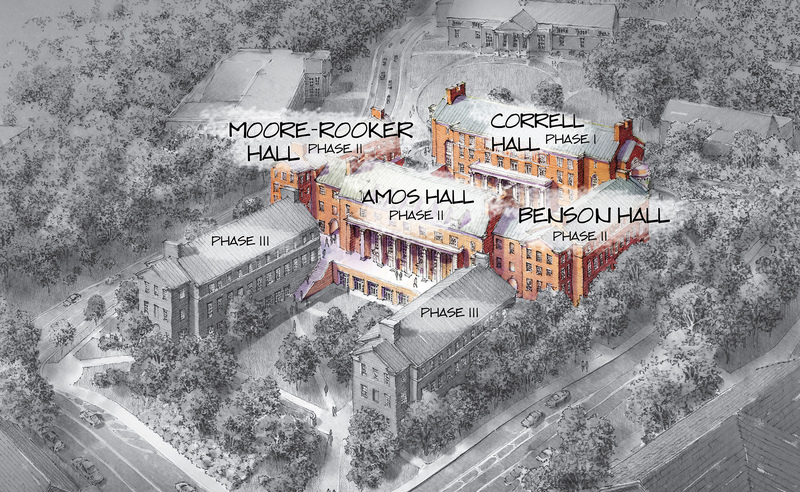 Athens, Ga. – Two new University of Georgia buildings have been named in honor of donors with lasting connections to the Terry College of Business. Benson Hall, on the business school’s east side facing Lumpkin Street, is named in honor of three generations of one of Athens’ well-known families: patriarch W.H. “Howard” Benson, son H.E. “Ed” Benson, and grandson Larry R. Benson.